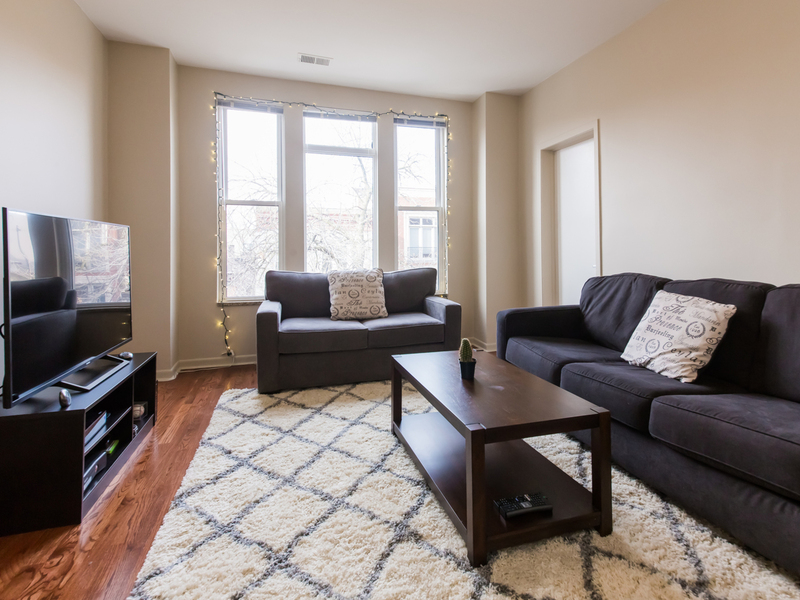 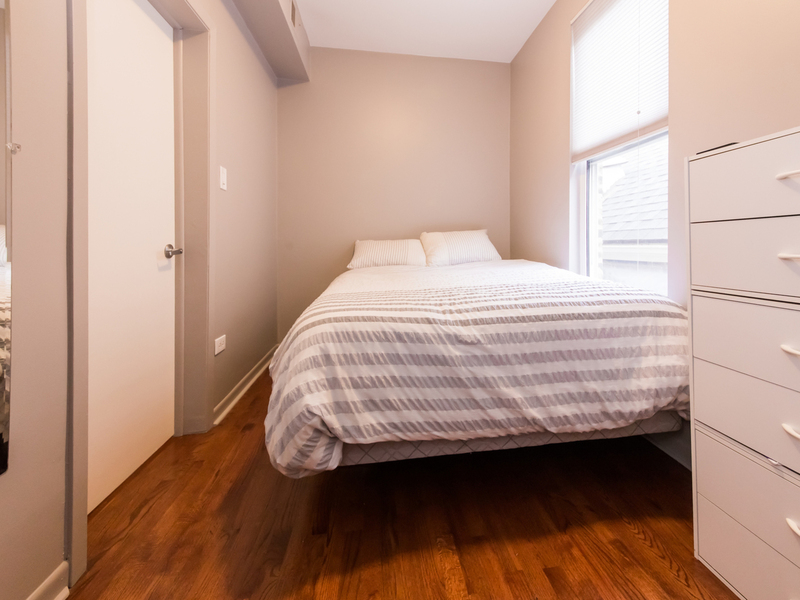 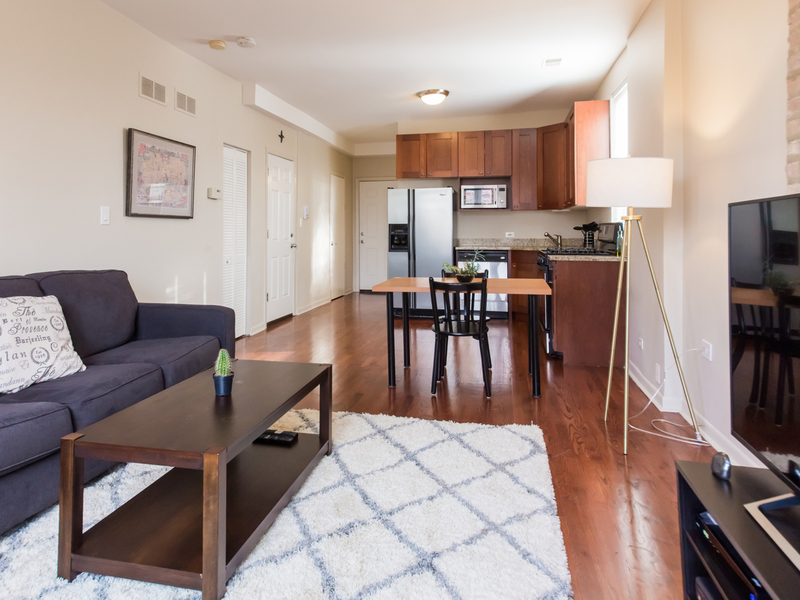 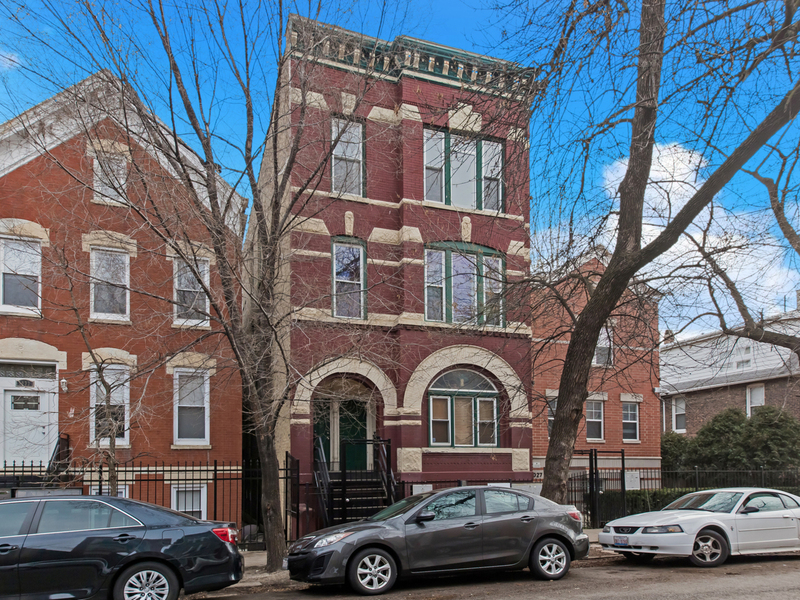 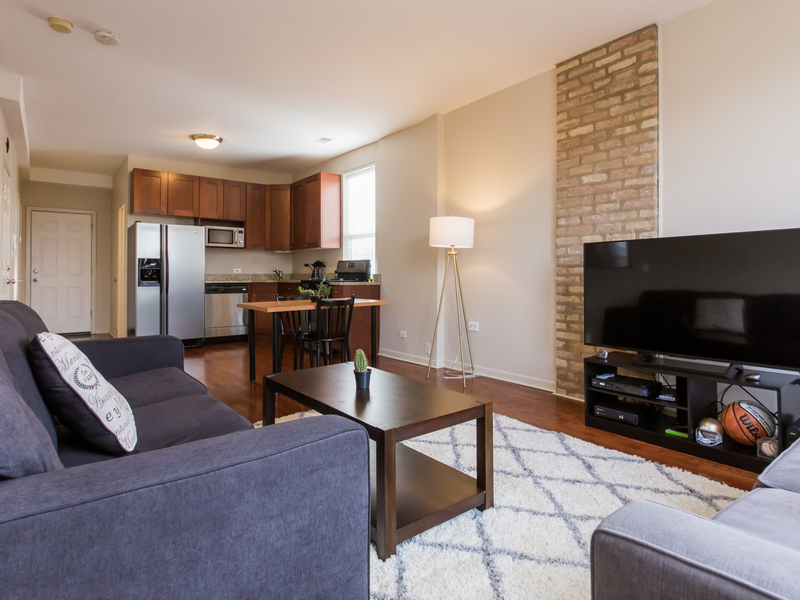 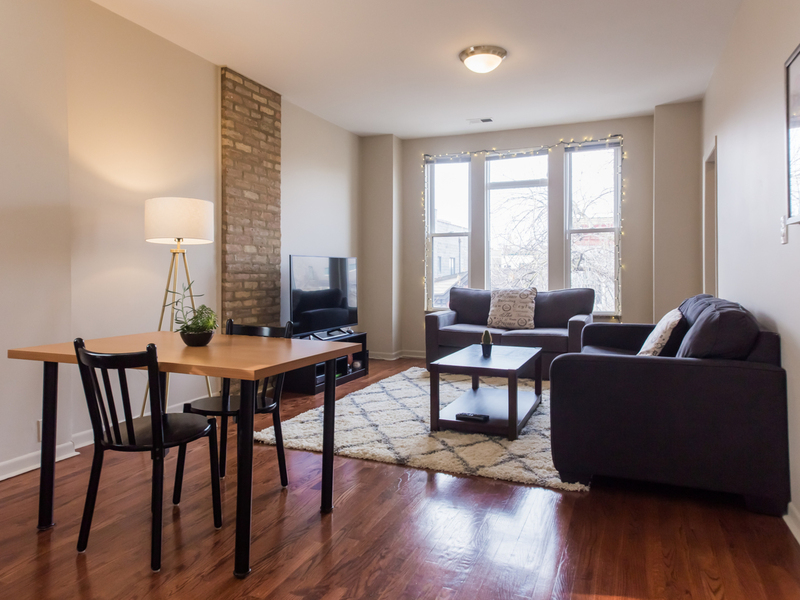 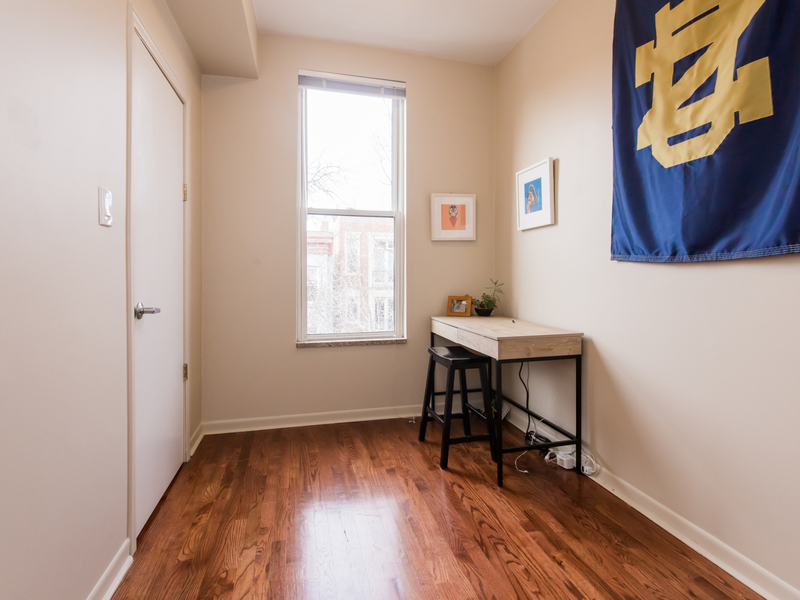 Bright, open 2 bedroom / 1 bathroom condo in hot Wicker Park neighborhood! 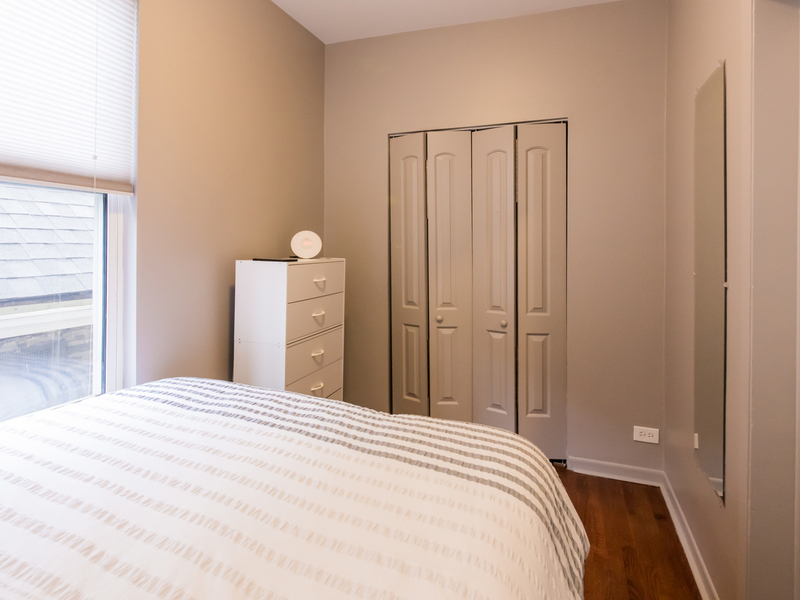 This top-floor find was the &apos;renovation showroom&apos; with upgraded fixtures and finishes. 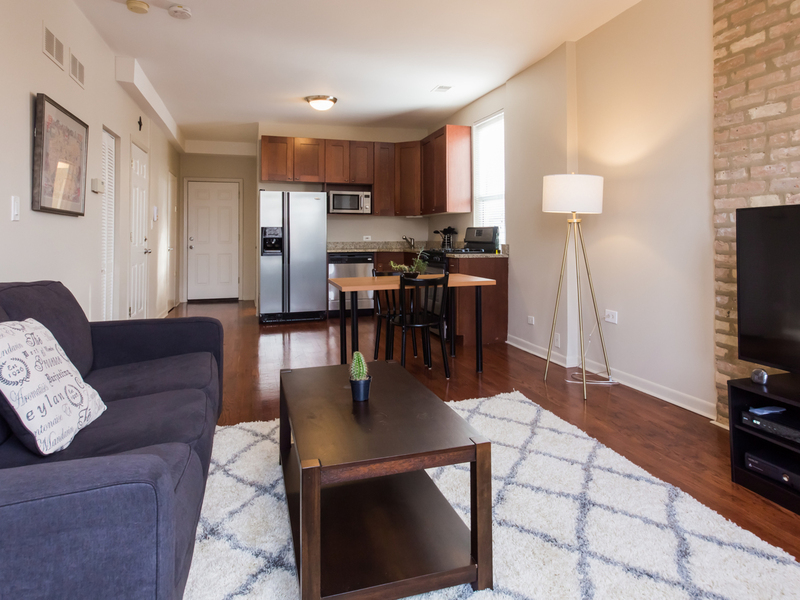 Enjoy a spacious open concept floor plan, granite counters and bathroom, 42-inch cherry shaker style cabinets, exposed brick wall, and stainless steel appliances. 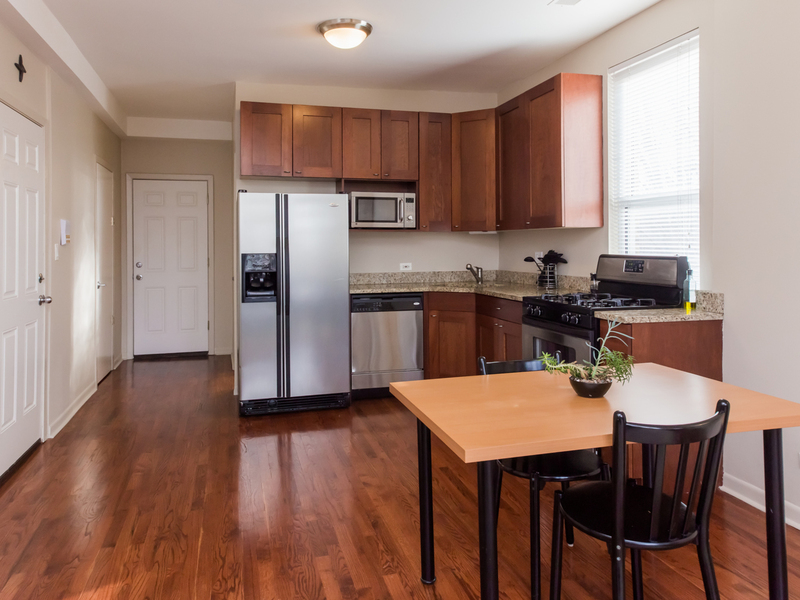 This home boasts pristine hardwood floors throughout, in-unit washer & dryer, plus additional storage. 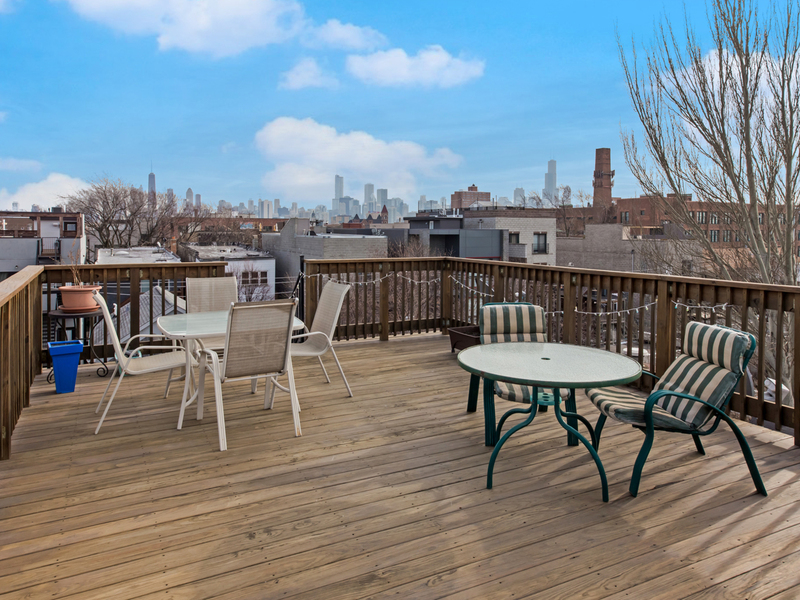 Savor prime access to a stunning common roof deck with unobstructed sightline of gorgeous downtown Chicago. 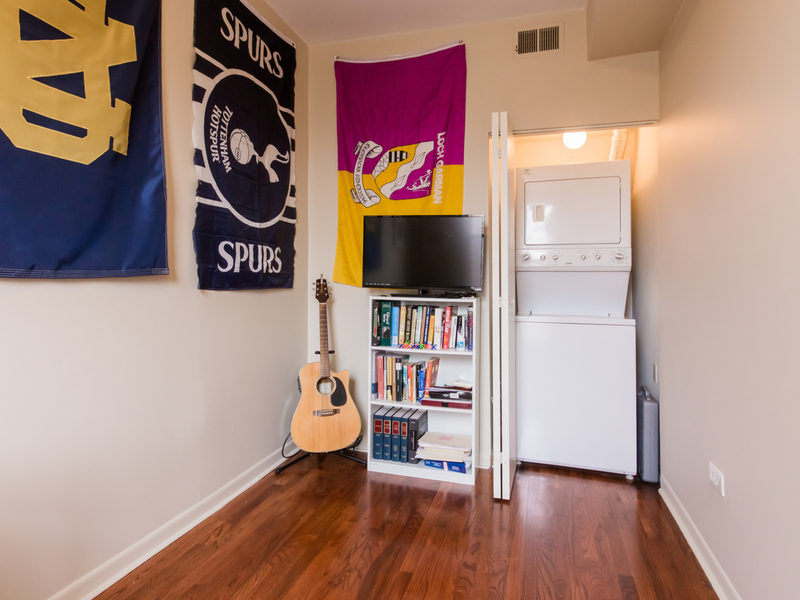 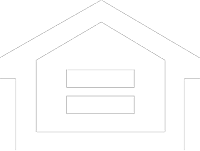 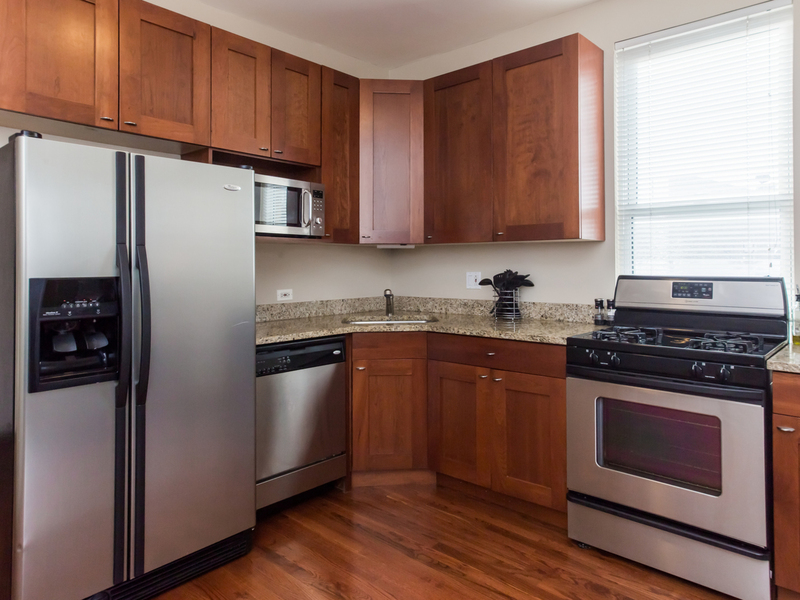 Steps away from hot Division Street, grocery, transportation, and more. 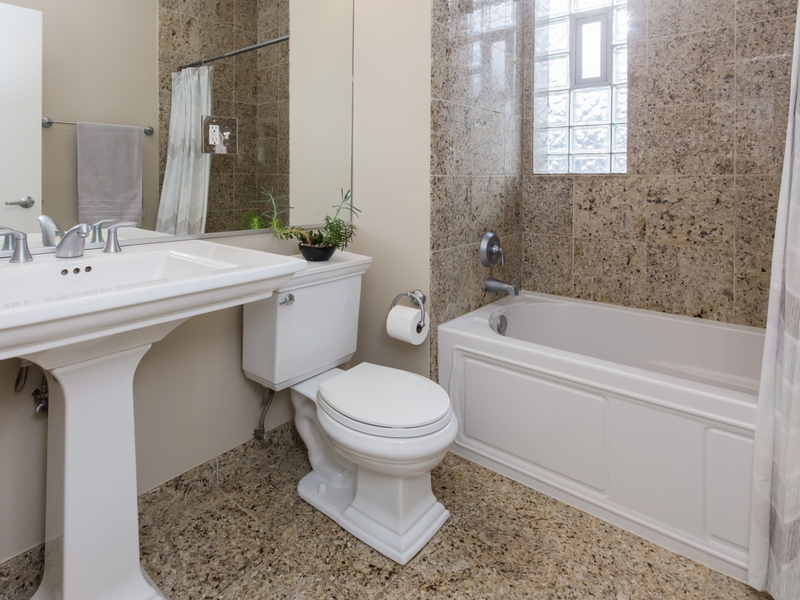 Don&apos;t miss the opportunity to see this home...and call it home.